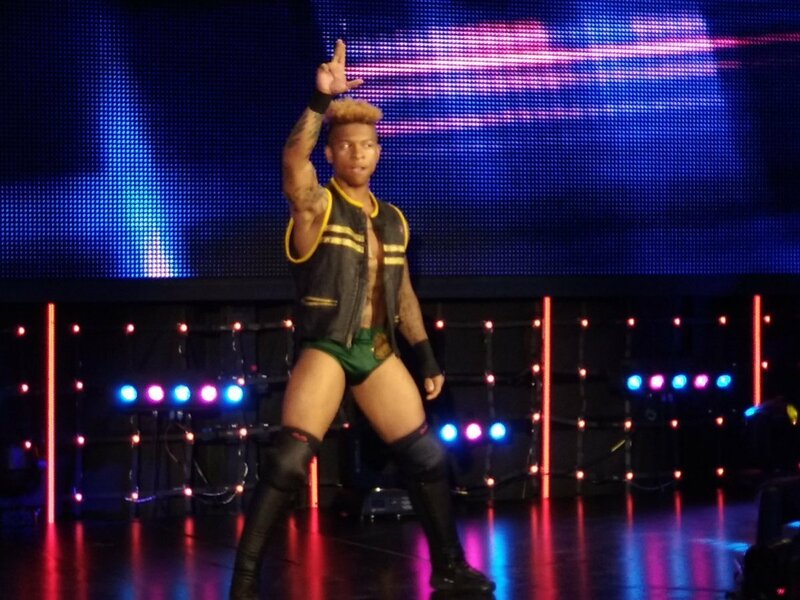 Lio Rush arrived in NXT at tonight's television tapings. Rush made his in-ring debut against Velveteen Dream, who was formerly his tag team partner in their pre-WWE days. Rush got a standing ovation shortly into the match, but he lost when Velveteen Dream hit a hop-up elbow drop. The match was a result of Rush being attacked by Velveteen Dream earlier in the night when making his first appearance in NXT. That attack stopped Rush from facing Aleister Black, and Velveteen Dream continued his storyline with Black by taunting him after defeating Rush. WWE announced Rush's signing as he reported to the Performance Center in August. He finished up his indie dates shortly before that, including having his final matches for EVOLVE, CZW, and MCW. Rush previously left Ring of Honor in April. Another former ROH wrestler made their in-ring debut at tonight's tapings as well, with Adam Cole having his first NXT match against Eric Young. Shane Thorne also returned to action as he teamed with Nick Miller against Wesley Blake & Steve Cutler in a dark match.